Should You Make Your Boyfriend/Girlfriend an Authorized User on Your Credit Card? If your boyfriend or girlfriend doesn’t have a credit history and you want to help, you can share one of your accounts. The account would show up on their credit report, helping them build credit. However, there are two ways to share an account, and it is crucial to know the difference between them. Plus, you do want to weigh the good with the bad when it comes to sharing an account in general. Adding your significant other as an authorized user grants him or her permission to use your credit account account (with their own card). But that person is not responsible for the bills and has no power to make changes to the account. That responsibility is all yours. A joint account holder, on the other hand, has equal responsibility for the account, including paying the bill, and has the right to make changes to the account. If your boyfriend or girlfriend lacks experience with credit, adding them as a joint account holder might not be a good idea. Also, it’s hard and getting harder to even find an issuer that will allow a joint account. For those reasons, authorized user status is the most feasible way to go. Making your partner an authorized user lets you help that person build his or her credit without surrendering too much control over your finances. Still, consider whether your help is necessary and worth the risk. This decision is not to be taken lightly. You’ll help build their credit. Assuming you maintain good credit card habits (on-time payments, low debt-to-income ratio, etc. ), that will be reflected on your partner’s credit report and help him or her build good credit. You’ll earn more rewards. 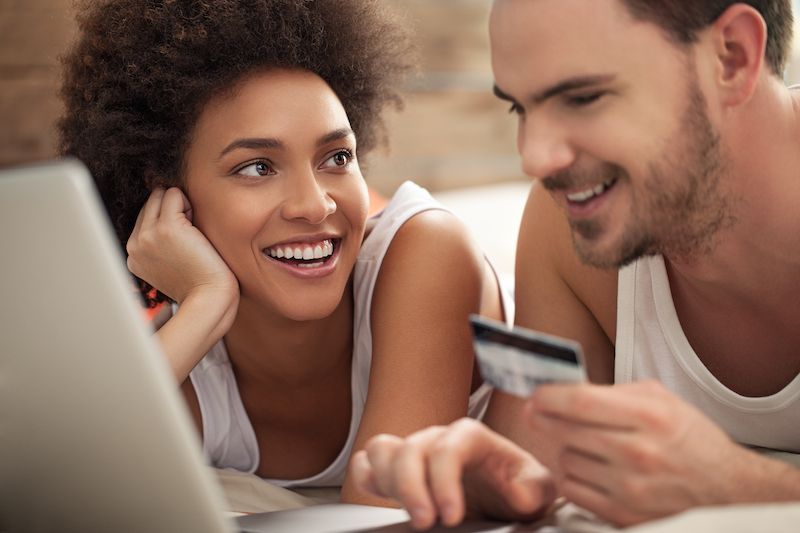 If it’s a rewards card account, your partner’s purchases will earn you more miles, points or cash back. Some credit card companies also give bonus points for adding an authorized user. You maintain control. As the account holder, you have the power (and responsibility) to control authorized user spending. You can do this two ways. First, if you don’t give them a physical credit card, they can’t spend on your account at all. Some credit card companies will let you choose whether you want a physical card for your authorized user. Otherwise, the authorized user’s card is mailed to the account holder, so you have the option of passing it along or not. Second, your credit card company may allow you to set spending limits for authorized users. If so, you can decide how much your partner is allowed to spend on your account. Since they have no power to make changes to the account, they cannot request a card or change their spending limit. You’re liable for their spending. If your partner has a card and you choose not to set or are unable to set a spending limit, they could easily run up a big bill. Even if they have every intention of being responsible, people have a tendency to spend more money when it’s not their own. This is especially worrisome if you break up. If you don’t remove your ex from your account right away, that person has the power to do a lot of damage to your finances — and won’t be liable for a penny of it. It could hurt your credit. Your partner could max out your account or even just put a high balance on it. Since the amount of debt you have is a major factor in your credit score, that could have a negative impact on your credit. It could hurt their credit. On the flip side, if your credit card habits aren’t so great, it could hurt your partner’s credit. Missing or late payments or high balances will have the same negative impact on their score. Also, when you remove your partner from your account, their credit score could drop. Encourage your partner to opens their own account once they establish credit so they can continue building their score. If you take the proper precautions, you can easily add your boyfriend or girlfriend as an authorized user, help them build credit, and protect your credit at the same time. Without the proper precautions, though, it could just as easily hurt you both.